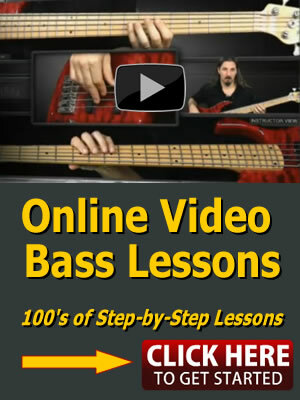 In this “Bass Oddity!” lesson we are going to take a look at “The Crunge” from Led Zeppelin. While there are some measures of regular old 4/4 and 3/4 time in this song, the main groove is in 9/8. So some odd time signature fun to play with. 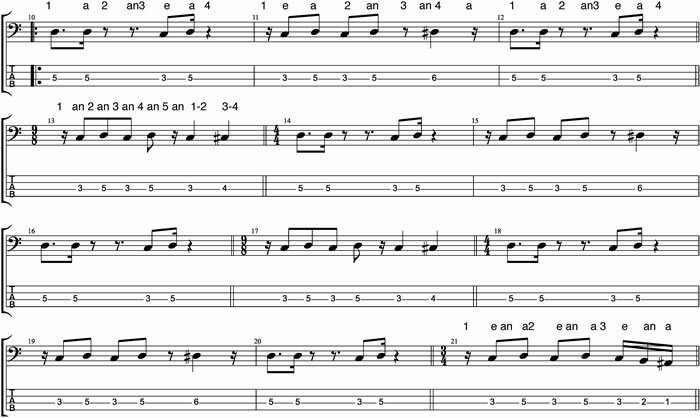 Follow along with the sheet music that can be downloaded lower on this page. In Led Zeppelin’s “The Crunge,” I break down the count into an even number of beats plus an odd number of beats. In this situation counting: Even:1-2-3-4-5-6-Odd:1-2-3. The Eighth note gets one count or beat. It’s easier to stay in time rather than counting: 1-2-3-4-5-6-7-8-9. By counting 1-2-3-4-5-6-1-2-3, you’ll find it flows rhythmically with the music! 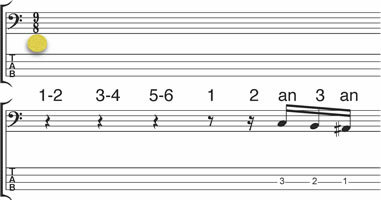 The drums introduce the song and the bass enters on the second half of beat number 8-9 in measure number 3. 5 bars of 9/8 then1 bar of 4/4 or Common time. 3 bars of 4/4 or Common time, then 1 bar of 9/8. This repeats 3 times, then moves to 3 bars of 4/4 and then 1 bar of 3/4 time. Here’s Led Zeppelin playing the tune for a little inspiration.